Today’s storm set up is more towards the East, but chances for storms here in the mid-South are at a minimum, but possible. 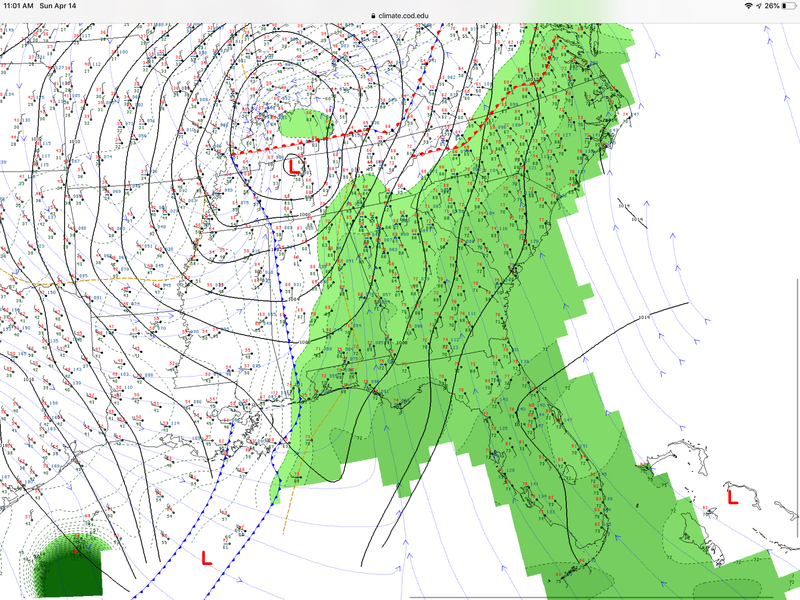 The cold front seen above will steadily pass through, stimulating storms for the East. Aside from a stray shower, Bowling Green could see some partly cloudy skies, with highs in the lower 60’s, and lows in the mid 50’s. The main hazard’s for today’s severe weather watch is wind damage, and hail. Tornado chances are slim but not out of question. A line of storms will pass through this afternoon. Monday will see a continuation of sunshine, but the morning will be chilly, and we might see some fog as dew points will sink into the 30’s. Highs will be in the mid 60’s, and lows in the mid 30’s. This entry was posted in Kentucky Weather and tagged severe weather. Bookmark the permalink.